They vary in size quite a bit, ranging from “can’t really swallow Hana whole” (i.e. comparable to real life lions and tigers) to “could swallow Ethan whole.” The big ones tend to be slightly less agile than the small ones. Since I’ve posted two extra updates, I’ll be taking this coming Thursday and the following Monday off. The story will continue on Thursday, June 4th. See you guys around! Chair! And such awesomely beautiful art, as always! 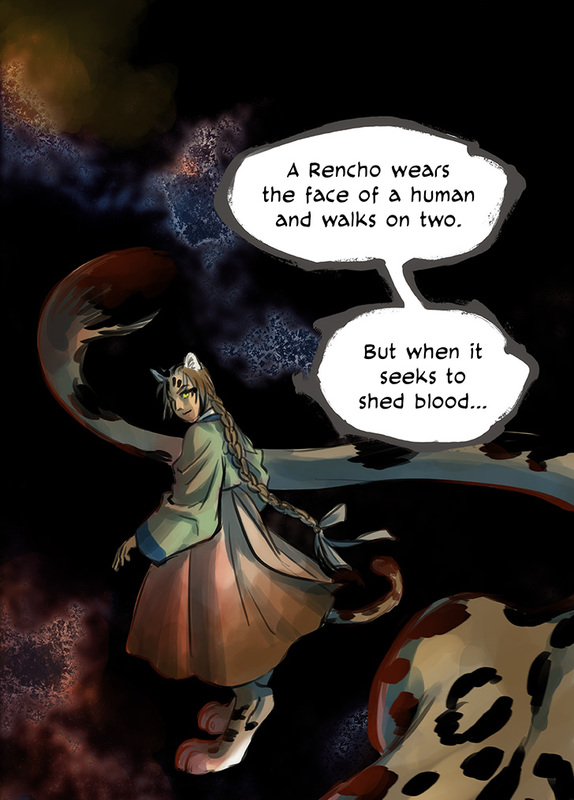 I love how you draw people of different races, and the Rencho is such an amazing creature! Can’t wait to see more! I never get tired of the creative ways of this comic to use vertical space and scrolling. 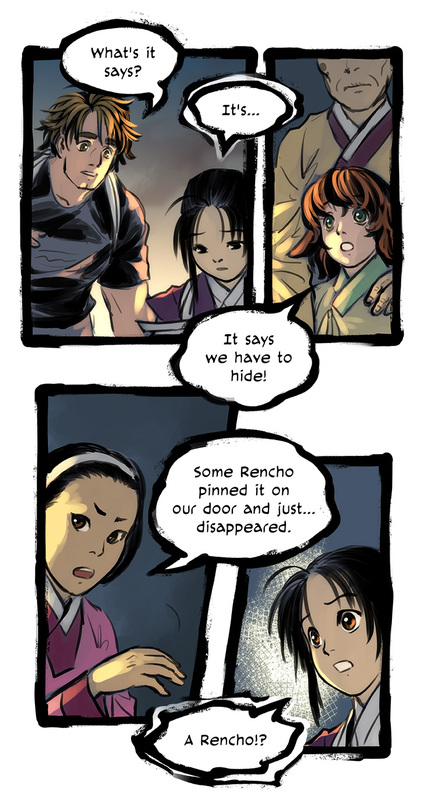 And the rencho looks awesome and creepy. 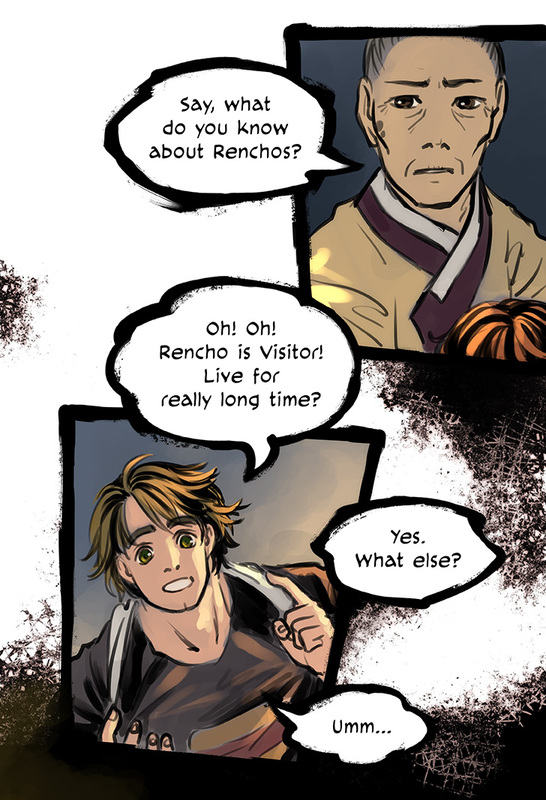 I’m super excited to see more of these Renchos! They’re fascinating.